The subscription commerce model has enjoyed a lot of press in recent years thanks to the success of brands such as Ipsy, FabFitFun, Hello Fresh, and even large retailers such as Sephora. In fact, according to The Wall Street Journal, drugstore giant Walgreens purchased a minority stake in beauty subscription box company Birchbox in October, adding its name to the roster of physical retail subscription players. 1. Thinking the subscription model alone is enough to make a business stand out. Considering that the market for retail subscriptions has grown more than 100 percent per year since 2013, according to McKinsey research, that sentiment couldn’t be further from the truth. For success, differentiation is critical from day one and subscription alone is not a differentiator anymore. To avoid this pitfall, start from the beginning, and think about how you will stand out aside from the table stakes of convenience, value, and replenishment. Focus on other psychological factors that you excel at, and overindex your efforts in those areas. Curation, personalization, exclusivity and creating a sense of belonging are great ways to stand out. Related: You Too Can Grow a Successful Subscription Company. Here’s How. 2. Assuming that original customer acquisition costs will remain constant. That might be true for a traditional business, in which a brand grows and develops a broader reach, but it’s not the case with direct-to-consumer retail businesses and subscriptions. Instead, the business typically starts with a small niche audience that’s perfect for the product and then needs to figure out how to attract enough additional customers to make the operation sustainable. Dollar Shave Club did exactly that by starting out with a simple offer of cost-effective yet high-quality razors and used the power of video and YouTube to attract its first customers. But over time, the company added more to the marketing mix, and at the time of its acquisition by Unilever, it had even expanded to television advertising. With both product and marketing, the company’s founder focused on meeting one need — and meeting it well — before moving on to additional offerings. If you want to follow Dollar Shave Club’s example, you need to be realistic in your profits-and-losses forecasting and to plan for an increase in customer acquisition costs over time. If you perform better than your forecast, all the better — especially if you find a channel that performs well. 3. Forgetting to prepare for scale and using technology solutions that have been cobbled together haphazardly for too long. This is an understandable mistake because it both saves money and can take a company from zero customers to hundreds or more — but it won’t hold up for the expansion from 500 to 50,000. Many business owners continue to use ineffective solutions out of sheer obstinance, though. They’ve grown used to a certain way of doing things and naturally fight change, even at the costs of poor customer experience, increased manual labor, inaccurate data, and profit loss. Don’t assume that what you built to start is what you need now, and don’t be too stubborn or tied to past decisions. Sixty-five percent of companies that operate with growth and scaling mindsets have broken into new markets, Navalent co-founder Ron Carucci noted in Harvard Business Review. If you want to be part of that group, your goal should be to implement the best systems for now and for the future. 4. Offering only help pages instead of putting customers in touch with real people. Because it’s cheaper to keep existing customers than to find new ones, most subscription businesses rightly focus on retention. The problem is that they overemphasize communication and messaging to the neglect of the customer experience and value over time. Retention is about the whole operation, not just one or two facets. Invest in a combination of people and technology. McKinsey found that companies that implemented solutions that reduced leakage between channels and moved some customer interactions to self-service portals saw higher customer satisfaction and lower operating costs. But you should also think about how you can leave your customers with a great feeling after every interaction with your brand. Many great solutions exist — think chatbots and voice bots — but sometimes a customer needs a real human voice to understand the nuance of his issue or, even better, to proactively solve a problem. Businesses owners have the best intentions, but it can be difficult to look at a business model objectively when you have so much at stake. That said, being aware of the above mistakes is half the battle. If you know that your customer acquisition cost will go up, you can prepare for it in your profit and loss statement. If you know that customer service is a keystone of your business, you can find the right mix of tech and talent to surprise and delight your customers. The success of your business depends on both internal and external factors. You have little say when it comes to the latter, but you wield significant control over the former. Still, just because you have control doesn’t mean you have the experience to make the right decisions at the right time. Working with knowledgeable people in the subscription space who know the ins and outs of the model with help you get a leg up on the competition, even if these experts occasionally tell you something you don’t want to hear. The subscription economy might be booming, but it’s a tough business model in which to succeed. The thin margins make things especially difficult, and for every Dollar Shave Club or Ipsy, many other ideas never gain viable footholds. 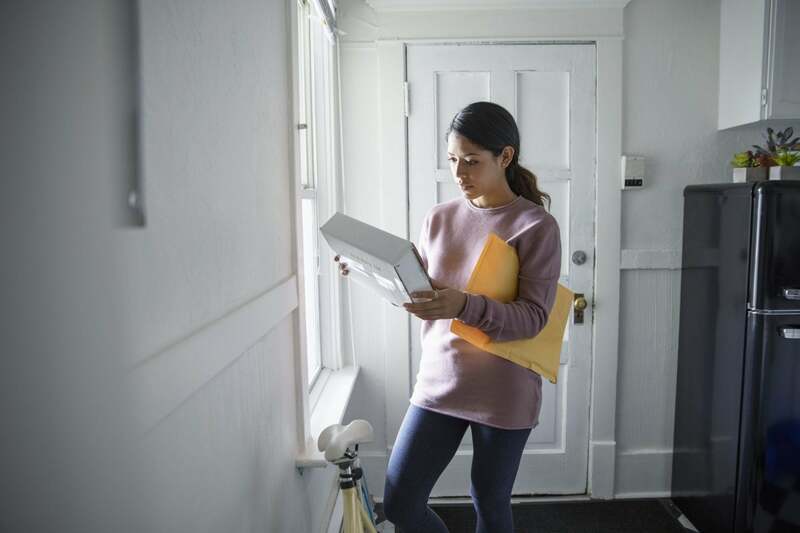 To turn your subscription box idea into a success, you’ll need to focus on the internal business factors you can control and avoid making the above mistakes.